A New York man has just made his last pit stop. David Johnson is a couple hundred million bucks richer thanks to a quick fill up. The Brooklyn resident was working as a truck driver for Iberia Foods on Dec. 26. He wasn’t feeling well that day but still showed up to work so he could collect holiday pay. During his usual trip to his usual gas station for a fill-up, he spent $5 on lotto — including a quick-pick Powerball ticket. The next day he called out sick. Later that day, a co-worker called Johnson to let him know there was a winner. “I told him no bro that’s not me man. That’s not my luck,” Johnson told CBS New York. Johnson didn’t wind up checking his ticket until a week later — at the same gas station. 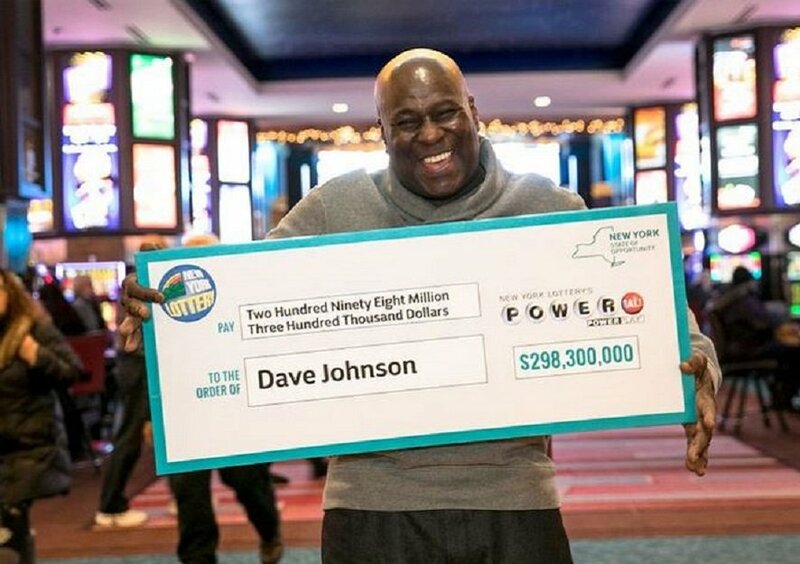 The $298.3 million dollar prize is the second largest in New York history. “I was so happy I couldn’t even eat, I was hungry but my stomach was full,” said Johnson. “I want to sleep but I don’t want to sleep. I’m still happy,” he said. Johnson will collect a lump sum of $114 million after taxes.